As part of our joint working and empowering communities initiatives, you can sponsor a PCSO who will be dedicated to your area. Your dedicated PCSO will work within your local policing team and will be directly accountable to the local policing Sergeant. A tradesman has been ordered to pay more than £10,000 in fines and costs after refusing to clear plumbing waste piled on his drive and front garden along a quiet residential street in Towcester. The Momo challenge is the latest in a series of online challenges that emerge and cause enormous concern. Sometimes the challenges are more myth than reality but that doesn't reduce the worry. Please see below a link to a private petition started today in Farthinghoe in support of a much needed & long overdue bypass. A budget to protect and grow the environment, communities and businesses while seeing the district through the reorganisation of local government in Northamptonshire, has been approved by South Northamptonshire Council (SNC). 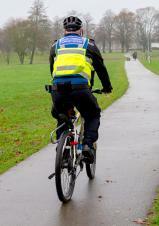 We are currently recruiting for Police Community Support Officers (PCSO's). Starting salary £19,719 + 24% shift enhancement Full Time 37hrs a week. Closing date 10 March 2019. Please share this with any family or friends that may be interested. Not won the Lottery ? Not won on Premium Bonds? but you CAN win in our Prize Draw, tickets £40 each, guaranteeing you an original artwork, by one of nearly 50 artists, who have donated work to The Big Picture, a fund-raising event in March, see attached PDF for full details. Any queries ? please contact me. Middleton Cheney Primary Academy (MCPA) is looking to recruit two new governors to join our newly restructured governing body. HTML5 validated. WCAG compliant. Page generated in 0.2651 seconds.